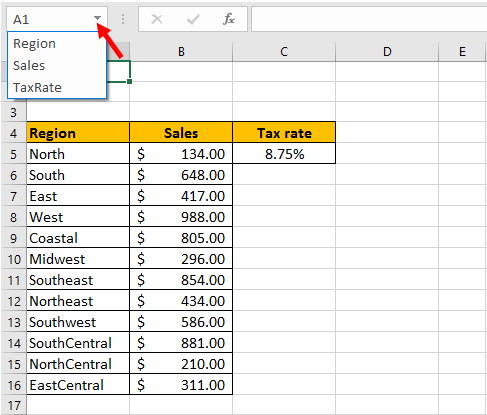 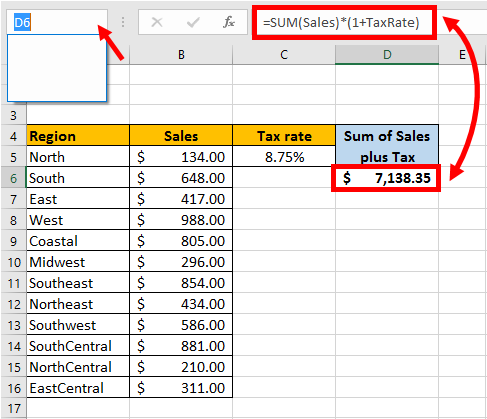 You can display a column’s width manually, or in a cell with a User-Defined Function. 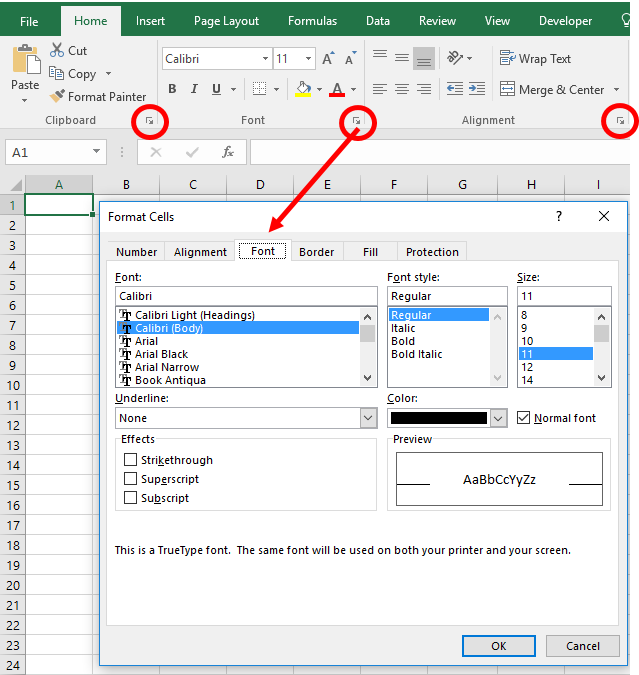 The first picture shows that when you press and hold your left mouse button between column headers, a column’s width appears in a tooltip. 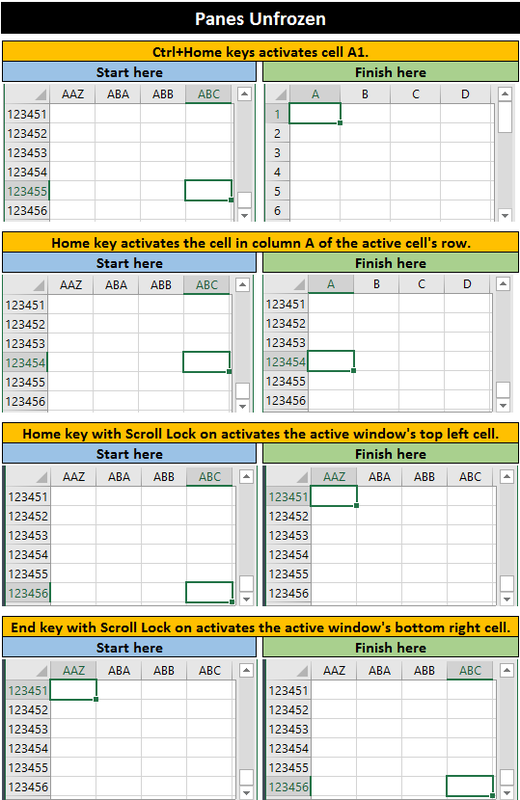 Column C is 16.43 (120 pixels) wide. 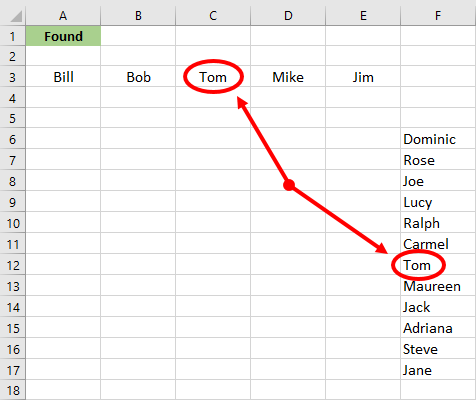 You can write a user-defined function (or copy this one) to return a column’s width in the cell, as seen in the next picture. 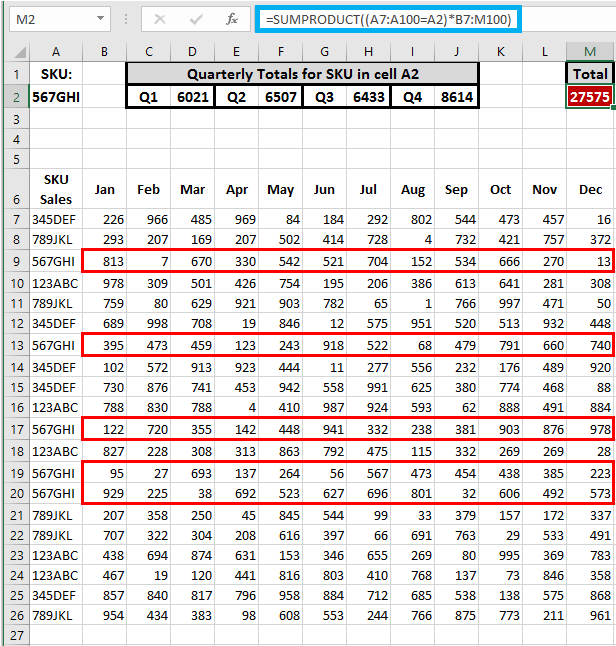 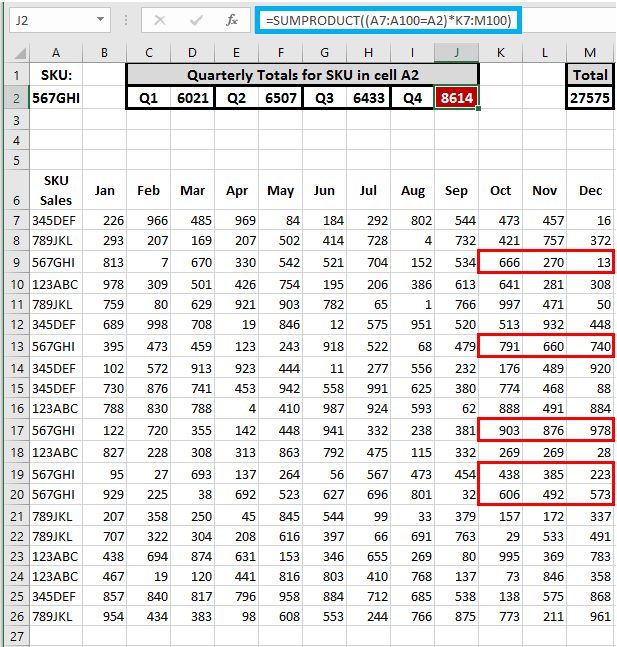 The first picture shows a range of monthly sales of a few warehouse items that are listed as data validated criteria for cell A2. 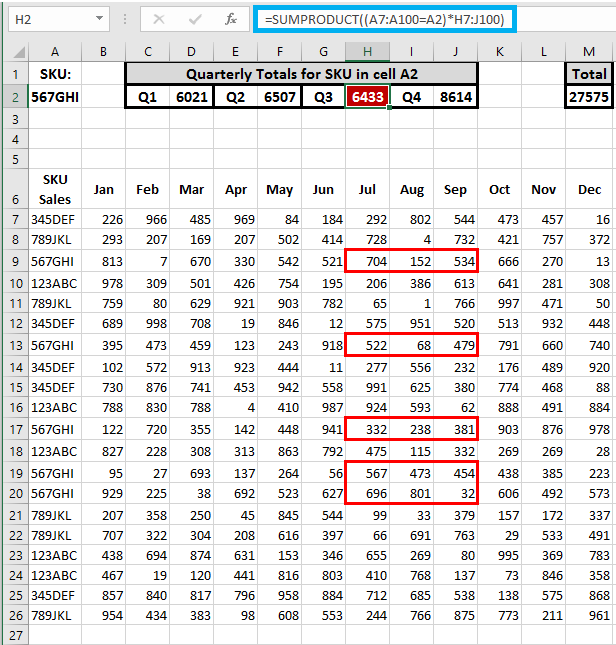 Here, I selected the criteria SKU 567GHI. 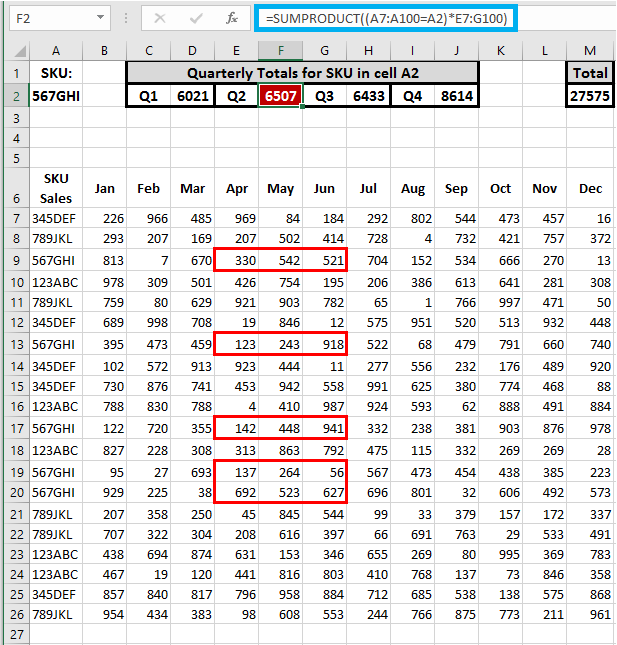 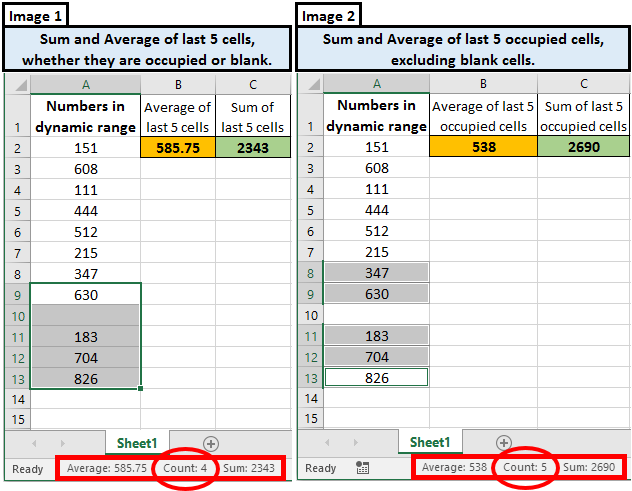 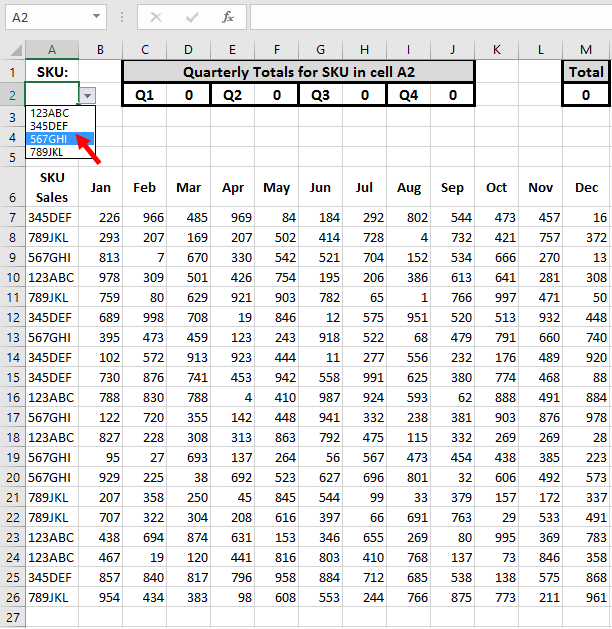 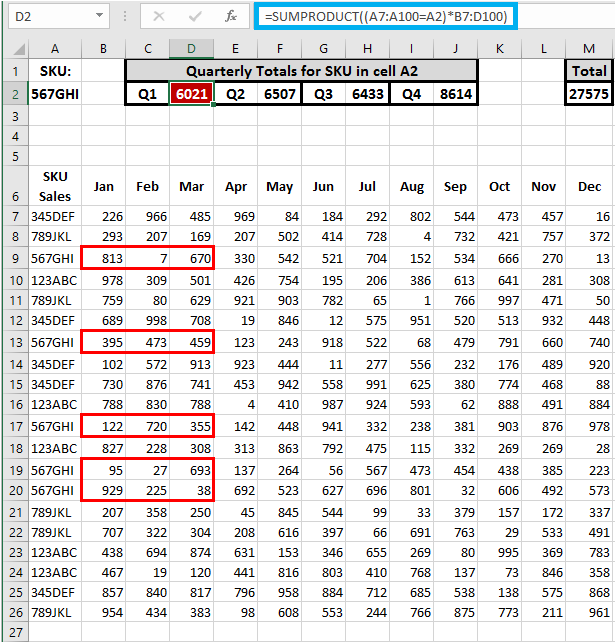 The below picture shows a side-by-side comparison of summing and averaging the last 5 cells in a dynamic list, depending on if blank cells should or should not be included in the formula results. 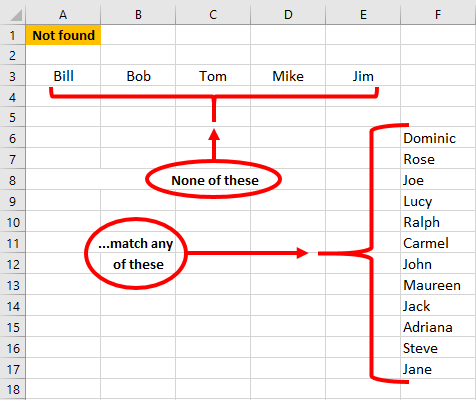 Today the list only reaches to row 13; next week the list might comprise one hundred rows or longer. 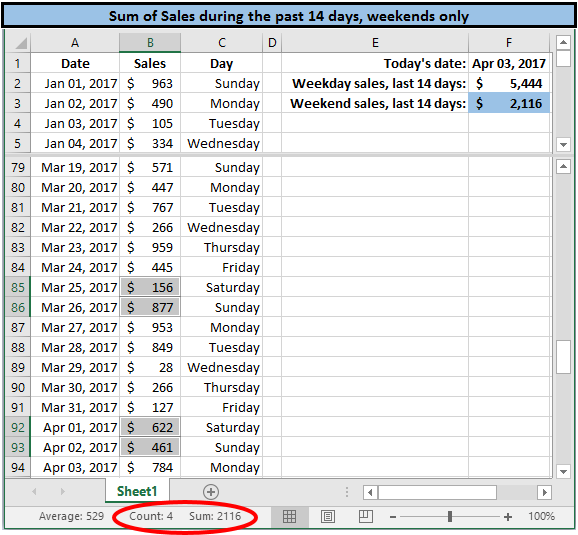 When you have a list of numbers for previous dates, such as with payroll or sales activity, here is an example of how you can sum the past 14 days for weekdays only and for weekends only. 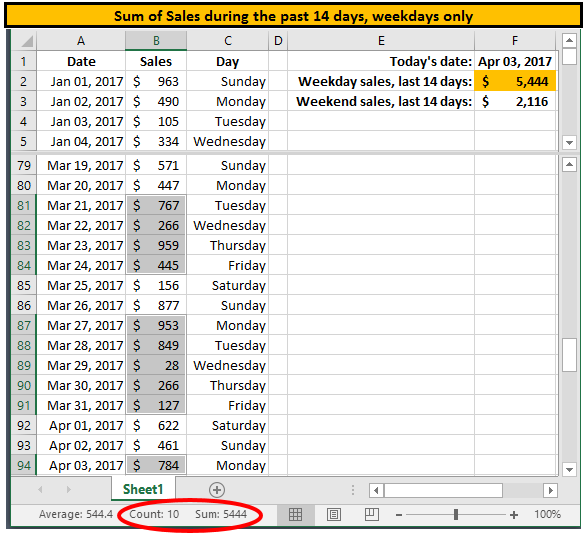 You can compile any count of previous days by changing the number 14 in the formula to some other count of days. 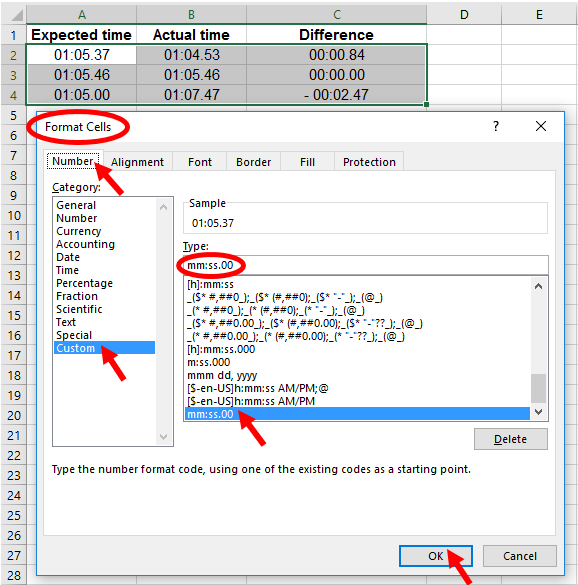 When you want to calculate differences in time when the measurements are in hundredths of a second, special consideration must be given for cases when the result is negative. 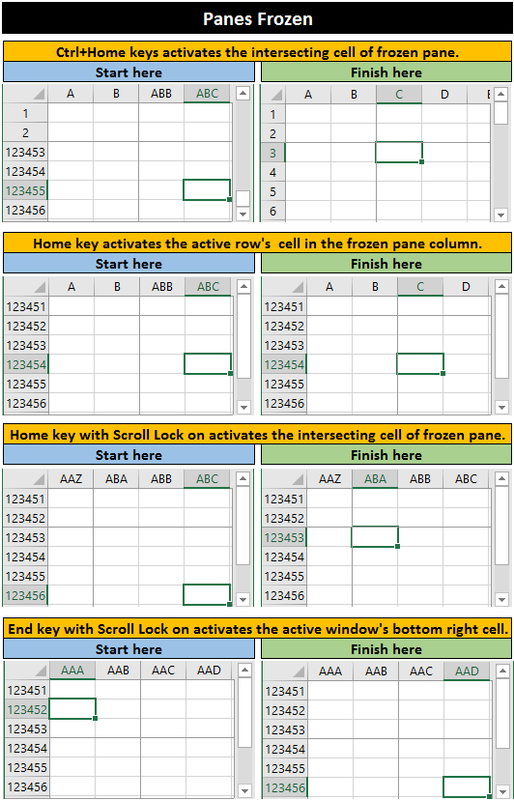 The next pictures show examples of calculations when the Actual time is less than expected; exactly as expected, and more than expected. 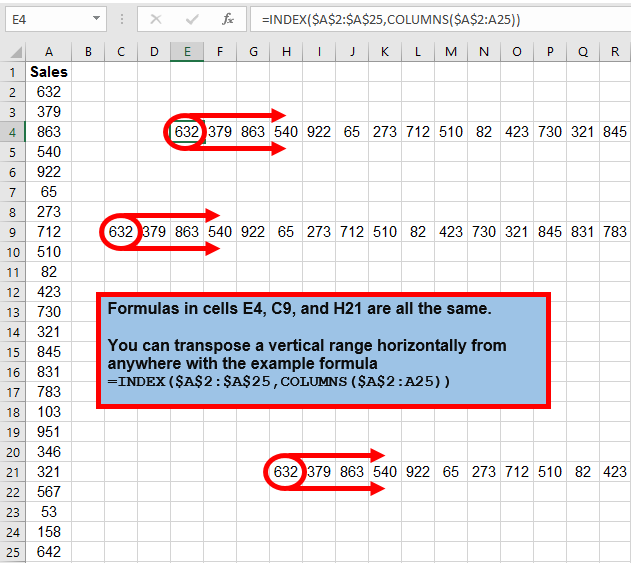 A problem happens when, as shown in cell C4 using that formula, the result is a negative number displayed in an unintuitive format.